RNA interference (RNAi), defined as double-stranded, RNA-mediated gene silencing, is a useful tool for functional genomic studies. 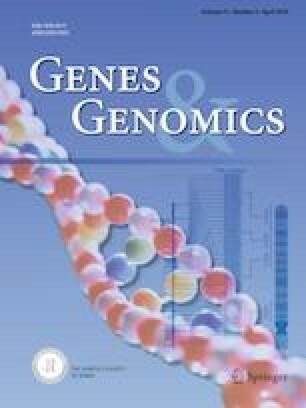 Along with increasing information about genomic sequences due to the innovative development of genome-sequencing technologies, functional genomic technologies are needed to annotate the genome and determine the processes by which each gene is regulated. Lentiviral vectors have been used to efficiently deliver reagents, such as small interfering RNAs (siRNAs) and short hairpin RNAs (shRNAs), into cells and tissues for functional genomic analyses. We developed a lentiviral vector that efficiently expresses intronic shRNA from the tetracycline regulatory element (TRE) promoter in a doxycycline-dependent manner. We developed a lentiviral vector system that contains reverse tetracycline-controlled transactivator 3 (rtTA3) and the TRE promoter, which are necessary for the doxycycline-inducible expression of shRNAs that are expressed as intronic miR-30a precursors. We then measured the cross-talk between the cytomegalovirus (CMV) and TRE promoters in the vector. We found that nearby promoters influence each other and that the TRE promoter should be located far from other promoters, such as the CMV promoter, in a vector. The orientation of a promoter with respect to other promoters also influences its transcriptional activity. A head-to-head orientation of the CMV and TRE promoters maintains the lowest level of transcription from TRE in the absence of doxycycline, compared to the tail-to-tail and head-to-tail orientations. Based on these findings, we were able to construct a lentiviral vector that faithfully expresses intronic miR-30a shRNA precursors in a doxycycline-inducible manner. This work was supported by the Basic Science Research Program through the NRF by the Ministry of Education (Grant No. NRF-2015R1D1A3A01015641) and a grant from the National R&D Program for Cancer Control, Ministry of Health & Welfare, Republic of Korea (Grant No. HA17C0035) to B.J. Hwang, and both the SGER Program through the NRF by the Ministry of Education (Grant No. NRF-2015R1D1A1A02060346) and the 2015 Research Grant from Kangwon National University to Y. Kee.